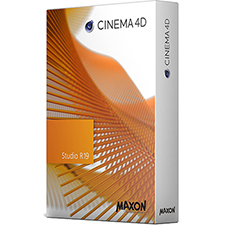 I have been using Maxon’s Cinema 4D for 3D modeling and animation for 18 years. Over time I’ve found a lot of helpful resources online, and I’d like to share them with you here. This is not meant to be an exhaustive list, but I think you’ll find many of these things useful. I will update this regularly, so let me know if you have other resources to suggest. In case you don’t know what Cinema 4D is, it is a professional 3D application used to create animations, stills, models, visualizations, user interfaces, etc., in all sorts of areas of creative visual development. You have seen imagery made in Cinema 4D in movies, TV, magazines, apps, etc. It is not a CAD application, which are used to engineer products for manufacture, buildings, etc. It is in the same category of software that includes MAYA, 3DS Max, Modo, Houdini, ZBrush, and Blender. The current version of Cinema 4D is R20. Use caution with R20 as it breaks many plugins and it will be a while for them all to be updated, and many simply won’t ever work again. The software comes in 4 versions – Prime, Visualize, Broadcast, and Studio – with each having more features than the previous. And, you may already have Cinema 4D Lite – it is built in to After Effects as part of the Adobe Creative Cloud suite of apps. I see these as some of the most important websites to visit as a Cinema 4D user. And, don’t forget to just search Google, Youtube and Vimeo – you’ll need to sort the bad from good, but there are thousands of great tutorials out there. Maxon US has a very robust portal that includes tutorials, plugins, and forums. Some of the content is free, and the rest is available through membership or to Maxon Service Agreement (MSA) yearly subscribers. When working in 3D you always work other software as well, and After Effects would be one of the main companion apps to Cinema 4D (as well as Photoshop and Illustrator). These websites have tutorials about After Effects, but it is often in the context of working with 3D. Many also sell very useful plug-ins and add-ons. While all 3D apps try to have a lot of features, there is always going to be something they don’t have, or that could be done better or differently. In this case third-party developers create a plug-in or add-on to extend or enhance the software. It is usually an individual or very small company, and many are free or very inexpensive (though some can get much more expensive depending on what they are). These are some of the most common and popular plug-ins and add-ons for Cinema 4D. Cinema 4D includes 3 render engines – Standard, Physical, and Pro Render. There are also many third-party render engines available to expand your rendering options.